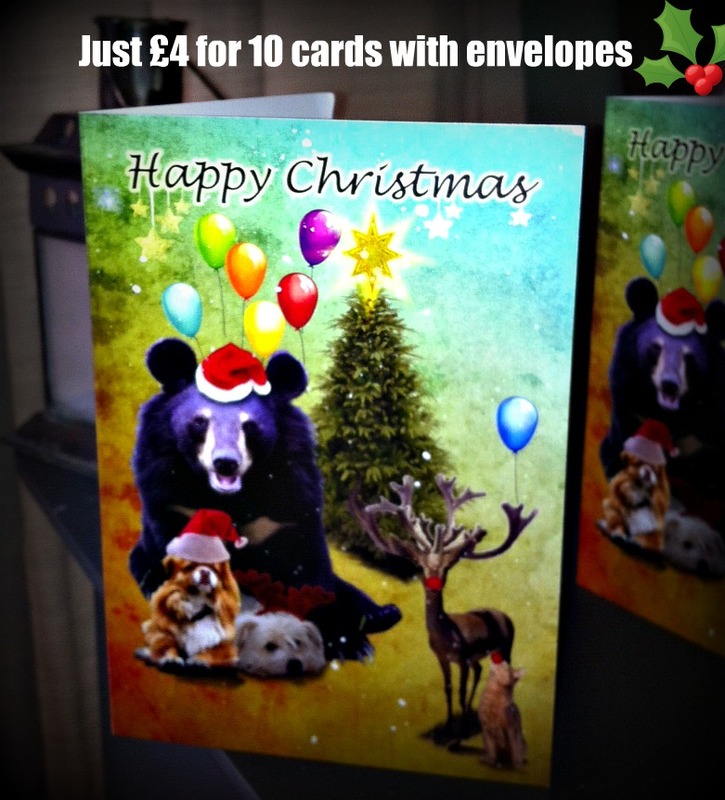 Packs of ten A6-sized unique Christmas cards featuring Jasper, Eddie and Tremor, with envelopes for only £4 (p@p extra). Blank inside for your own special message. All profits to Animals Asia Foundation.